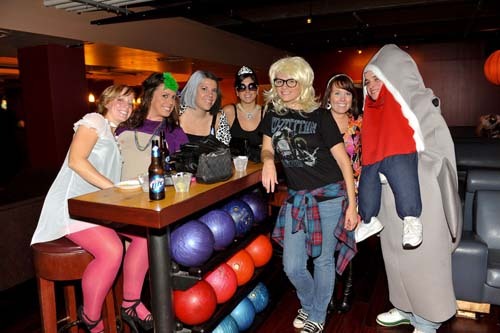 You and your friends are invited to the 12th Annual Heaven & Hell Halloween Party at Lucky Strike Lounge & Lanes. This huge two floor venue will set the stage to host 900+ people. The 3rd floor party room will resemble Heaven featuring a special guest DJ! On the 2nd floor lounge, welcome to Hell featuring another amazing DJ spinning today's hottest music. 2 parties, 1 amazing venue! 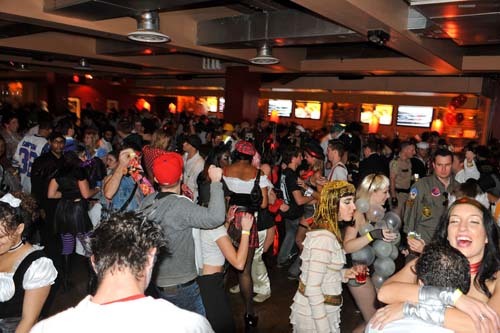 Pics from our past Lucky Strike Halloween events view all pics. Exclusive access to ALL areas with multiple bars and bartenders. Private VIP line for faster entry. VIP Open Bar Tickets will NOT be available at the door. Two 50-foot bars to serve you & your friends! This event is ALWAYS amazing - tickets will be available for purchase at the door only if the event does not sell out in advance. Prices will increase as we get closer to the event and will be more at the door. So, for guaranteed entry and to save $$, absolutely purchase your tickets ASAP before the price goes up or the event sells out! Black lights will be in effect - think creatively on how you can incorporate UV Paint in to your costumes for the full effect! Costume contest prizes for: Best Individual Costume. 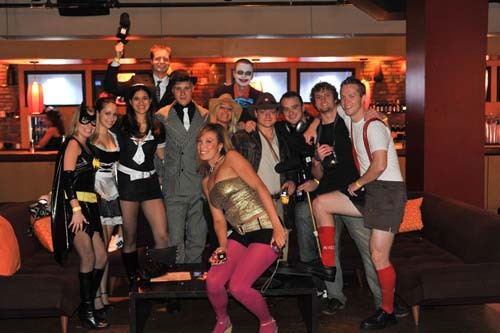 Representatives will be walking around all night qualifying the best of the best- dress to impress to win! They will be handing out tickets for the top costumes - that ticket will get your entered in to the contest (Contest will start at approximately 12am).